The only available unit in College Gardens! 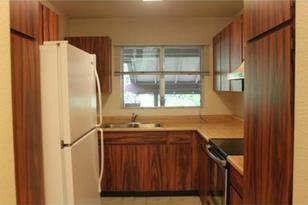 2 bedroom, 2 bath, and RARE 2 parking unit! 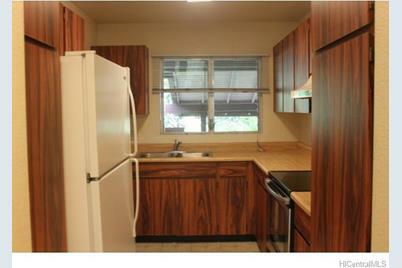 Close to Leeward Community College and lots of shopping right across the freeway. Living room has A/C window unit. Extra storage space off lanai and no neighbors behind. On-site security guard (part-time hours), small park for kids to play. MEGA OPEN HOUSE Sunday the 19th, 1-5. 96-232 Waiawa Road #214, Pearl City, HI 96782 (MLS# 201511673) is a Condo / Townhouse property that was sold at $304,000 on September 04, 2015. Want to learn more about 96-232 Waiawa Road #214? 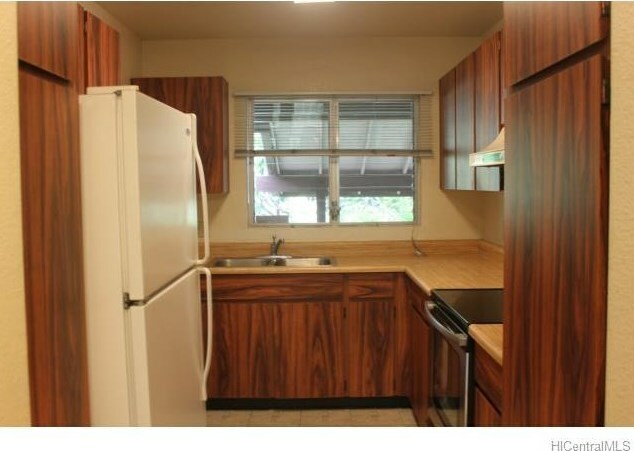 Do you have questions about finding other Condo / Townhouse real estate for sale in Pearl City-Lower? You can browse all Pearl City-Lower real estate or contact a Coldwell Banker agent to request more information.